The type of water heater that you use in your home affects how the hot water is distributed across the house and how it consumes water and energy. Whether you are replacing an old water heater or installing a new one in a new place, it’s good to know the differences between several types of water heaters. You will find storage tank water heaters in most homes. They are the most common type of heater and they operate pretty simply. As the name suggests, water is stored in a tank where it will be heated and distributed once the hot water faucet or shower is turned on. Gas water heaters usually consume less energy and the operating costs are lower than more modern types. However, they would have a higher cost initially to install. With on-demand water heaters, instead of storing the hot water in a tank, the water is heated through the heating coils as it passes. It only heats the water as needed hence, the name. These types of heaters are more energy-efficient but the water flow they provide can be limited. That means if several people in your household use the hot water at the same time, some of them may not get the hot water. This is best for families who don’t usually use the hot water simultaneously. This type of water heater captures heat from the air and distributes it to the water in the tank. The advantage of a pump is that it uses 60% less energy than electric heaters. They would cost more initially but you would save on energy costs in the long run. A disadvantage of pump water heaters is that they don’t do very well in very cold places. You would also need about 7 feet clearance from floor to ceiling. Solar water heaters absorb the sun’s heat using a solar cell mounted on your roof. The heat is then transferred to a fluid in a system that runs to the tank. This is great for areas that are typically warm and sunny. Condensing heaters are best for places that need large amounts of hot water to be used simultaneously. They have a capacity of more than 55 gallons. They capture exhaust gases and blow them through a coil where the water will absorb the heat. Often the first sign of trouble with a hot water heater turns out to be a flood on the basement floor. These usually dependable appliances have a life expectancy of 8-12 years or more. As such they tend to get ignored, and even an occasional small leak may go unnoticed. But when they fail, they can do so, BIG time. While many plumbers and even some HVAC companies can arrange to remove the old water heater and install a new one, a new firm has set up shop in the Minneapolis St Paul area to specialize on just doing Water Heaters. Called Water Heaters Now is focused on just that mission. To be the best requires specialization, says owner Ray Snesrud. We offer same day service on all standard Gas and Electric Tank water heaters everywhere in the Twin City Metro area. We do Tankless models within two days. Call us by 2PM and we will have your new hot water tank installed yet today. For Tankless, we will do the initial measuring and placement work today, and finish the job by tomorrow. We only use US Made Quality Systems from reputable firms like Bradford White and Navien. Home prices are back to near-record highs across the U.S. amid rising demand and supply constraints, a sign that the lopsided housing-market recovery of the past five years is gaining some strength. 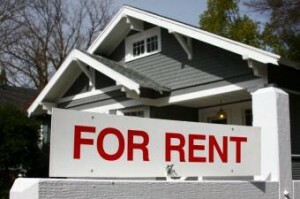 Rents have been on the rise for several months now as demand for rental housing has increased due to a short supply of homes for sale, particularly among starter homes, and high down payments. A recent survey showed that the pendulum may be swinging in the other direction, however. The change is attributable to first-time buyers. In the most recent survey, more than fifty percent said high rent led them to the market, compared to only 25 percent of first-timers in August. Home buyers trying to move up from their entry-level dwellings face a form of gridlock in the red hot markets of Toronto and Vancouver that risk confining them to condos, TD Bank says. In a commentary released Friday, Beata Caranci said buyer’s gridlock refers to existing homeowners who are trying to move up from their entry-level home to the “trade up” segment but face a tight supply of options they can afford. A distinctly different attitude exists in Orange County, but then too, the price points there are different than in many parts of the country. Is the shortage of modestly priced homes – and we’re talking Orange County values, by the way – the reason home sales remain historically sluggish, deep into an economic recovery? A new poll of prospective house shoppers from Bank of America raises some intriguing questions about the reluctance of local homebuyers to dive into the market. Orange County homes have sold in the past year near the fastest pace seen since the Great Recession, CoreLogic stats show. Six years after the recession ended, though, the market is still 20 percent slower than historical homebuying from 1988 through 2006. BofA pollsters found only 25 percent of potential first-time buyers in the five-county Southern California region want a starter home, the lowest level of among 10 major U.S. markets studied. And these local first-timers have a plan: 72 percent of those polled “are waiting to save more money and move into a nicer home in the future,” BofA said. 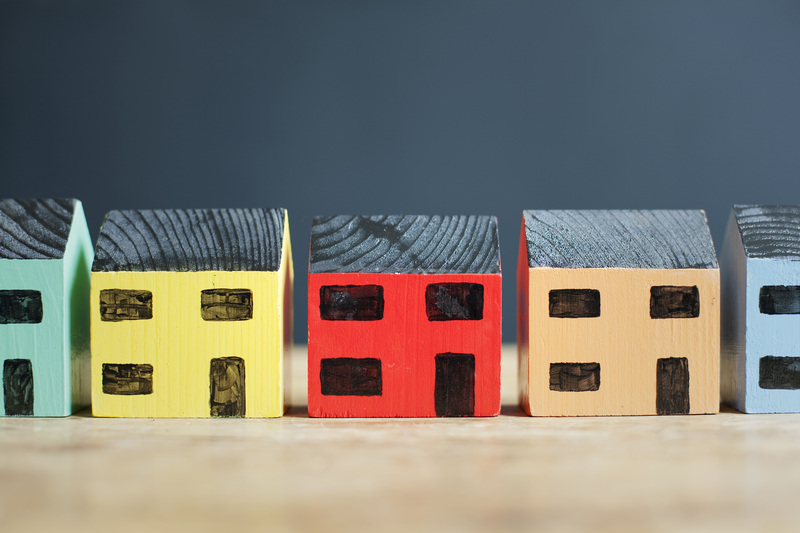 The current state of housing markets across the country may have first-time homebuyers wondering if the concept of a starter home is the stuff of legends, or if someone, somewhere is getting a great deal on their first house. With low housing inventory and new construction focused on luxury condominium and apartment buildings, homes that would have once been considered entry level – those on the lower end of price range, typically most affordable for buyers entering the market for the first time – may now exceed starter home prices. While high demand is driving home prices out of budget for many first-time homebuyers, it’s not the only factor leading to an apparent lack of entry-level housing. In many cases there are homes available, but they are maybe a little too “starter” than most homebuyers today are willing to accept. “Buyers today, as much as they say, ‘I want a starter home,’ they want the second one up,” says Gina Giampietro, a Realtor for Re/Max Select Realty in the Pittsburgh area. Over the years I have worked with many small businesses within and without the real estate world. One lesson I have picked up from the best of the bunch was an attention to detail when it came to understanding their customers. George Manson of Manson Builders was perhaps the most effective. He would talk at coffee sometimes about what his customers didn’t like. We met every few weeks on a regular basis for about two to three years in an informal “Mastermind” group with three other colleagues. George was always focused on the downside. Or at least that is the way I initially felt about it. “Can’t please everybody,” I would say. But George would respond, that one persons complaint was just the tip of the iceberg. Most people are sheep, he believed, and tended to just accept things as they were. He actually seemed to prefer those who would complain. I was reminded of George yesterday when I came across a blog post about online review sites. As a practical matter, I hear many of my clients gritting their teeth over some of the negative reviews they receive. That’s understandable. In general though, it is far better to respond to those reviews with a positive comment back. For legitimate complaints, you now have a chance to impress a potentially disaffected customer back with a courteous response. A customer saved is as valuable as a new customer and easier in most cases. When they see that you actually care, they may well become a raving fan. The true value of the review system may well be the insights you get on what your customers are saying and thinking about your business. You are far better off knowing about any issues you customers are having. You can take action and build your business faster and more effectively with that feedback. So while you may not like to get less than optimal feedback, you should cherish it. That said, you don’t need to share it with your competitors or the general public, which is why the RepPilot System is so valuable. The system captures any negative feedback and gets it sent to you so you can do something about it. By offering your customers a way to share any frustrations they may have, makes it less likely they will post a poor online review independently. Thus you have dodged a bullet and your overall ranking remains higher than it may have otherwise. One other nice thing about the RepPilot software is that it allows you to associate customers with individual employees or departments. This gives you a new tool to evaluate staff and departments performance and understand where you excel and where you need additional training or improvements. I Liked the idea of having an automatic systematic approach to finding things people didn’t like about your business. I Know George would have as well. Now the author of the post was more focused on getting good online reviews. And that of course makes sense these days. But that he also recognized the value of getting the less good feedback, is what made me sit up and take notice. As someone who is considering purchasing residential real estate as an investment, you want to be able to utilize the best and most practical methodology there is available in order to determine the value of a specific piece of property. With this in mind, it is a good idea to take a look at the three approaches to value that exist. From a traditional point of view, there are three groups of methodologies that you can choose from. Let us first take a look at what we believe is the approach that will benefit you the most as a residential real estate buyer which is the income approach. The income approach can be likened to the same methods that are used for determining the price of bonds, analyzing securities, and valuing finances. It is also known as the income capitalization approach. This is the optimal choice for determining the value of both investment and commercial properties. You might be wondering: why is the income approach considered the most relevant technique for valuing income-producing properties? That is a great question and the answer is because it was designed in such a manner that it can be considered a direct reflection of how participants in the market typically behave as well convey what their expectations are. Net Operating income as a piece of the pie. Having said that, given a commercial property that produces income, the income approach essentially becomes an indication of the value of the property based on its stream of income. Several factors are used to come up with the specific number such as capitalization rates coupled with a Net Operating Income or perhaps revenue multipliers. In a typical scenario, stabilization of the NOI is applied so that recent events do not weigh too heavily on the valuation. For instance, if there is an un-leased building and the stabilized NOI is to be applied, the assumption would be that the lease would be at a normal rate and that occupancy levels would be standard as well. In this case, the Net Operating Income would be computed by taking the gross potential income and subtracting the collection loss and vacancy. The result would be the Effective Gross Income. Operational costs would be subtracted from this number as well (not including debt service, depreciation rates, and income taxes). However, there is an alternate way to compute the Net Operating Income. You can do this by using the discounted cash flow analysis or DCF model. The DCF is usually applied when there are more heftier and higher-value properties involved (i.e. office buildings and shopping complexes). Here, yields that are supported by the market or discount rates are applied in view of projected future cash flows. Projected future cash flows can include annual income figures or lump versions from when the property is eventually sold. Other methods of approaching the value of commercial or residential properties include the cost approach and the sales comparison approach. In the cost approach, buyers do not pay beyond a specific amount if it would cost less or the same to build a similar property. On the other hand, the sales comparison approach examines the characteristics of a property with similar properties in recent transactions. Did you know that when it comes to cement sidewalks, you have a ton of options available to you when it comes to decorative features? If cost is an issue to you — and isn’t it to most of us? — then you will find that stamped cement is a very appealing option for you when it comes to beautifying your cement sidewalks. If you fear compromising the naturalness or authenticity of your cement sidewalks, this is where stamped cement comes in. What is important here is that you are certain about the proper blending in of your stamped cement of choice with the other cemented elements available wherever the cement sidewalks are currently installed. Otherwise, the result will be a very unpleasant aesthetic dissonance that nobody will be happy with. Take note that cement elements like acid staining or exposed aggregate go very well with stamped cement. Your options include running bond brick, stone, worn rocks, or hexagonal tiles. Now let us take a look at some examples of patterned stamped cement which is one very popular form of decorative cement walkways. If your goal is to create a resemblance to brick, cobblestone, slate or flagstone with your choice of patterned stamped cement, you are exactly on the right path. Not only will you be saving a significant amount of money by opting to go for patterned stamped cement, you will also be saving so much time and effort on your end when it comes to upkeep. Your driveway, patio and courtyard are all excellent locations for pattern stamped cement applications. The first type of patterned stamped cement is cobblestone – random interlocking. The edges have an irregularity to them while the corners of the cement are rounded. One can also opt for the sorrento pattern for the cobblestone. Some other options that you can consider for cement walkways include English Yorkstone, limestone, sandstone, natural stones, pine interlocking plank, ashlar stone, river stone, fractured slate, fractured earth, and more. At the end of the day, it really all depends on your set budget, and what type of look you hope to achieve when it comes to your cement walkways. Another aspect of cement walkways that you will have to make a decision on is color. Technological advancements have truly widened one’s options: we have steersman buff, la crescenta, venetian pink, platinum gray, dark red, slate gray, arizona tan, and walnut. It’s wise to ask for a professional opinion. Everybody is talking about “curb appeal” these days. In the real estate industry, it spells a big difference in being able to clinch a sale quickly. A house with a driveway and patio that generate interest is a big factor in cultivating serious interest in your property. If you are not planning to sell your house, it remains a good decision to see to it that it has great curb appeal. It shows flair and sense of style. It reflects warmth and appeal, making your home look attractive and welcoming. Beautifying your outdoor space does not require a huge budget. You can definitely enhance your driveway, patio, or walkway without breaking the bank. One of the more popular ways to do this is by using stamped concrete. Providing this particular finish is a durable, visually-appealing, and cost-effective way to increase curb appeal. It is a popular solution because your driveway, walkway, or patio may look like it is made of the more expensive stone pavers, bricks, or other similar material at a fraction of the cost. Looking just as appealing, and certainly much easier to maintain, stamped concrete is way more budget-friendly than other surface material, making it a more popular and practical choice for homeowners. Stamped concrete is an excellent choice – an affordable one that gives your home a charm that lasts. Stamped concrete is known for its strength, durability, and toughness. It is sturdy and long-lasting. It is inexpensive and is not at all labor intensive to install. You get your money’s worth because it is very durable, holding up better than other surface material to traffic and wear and tear. Many homeowners swear that stamped concrete stacks up much better in terms of cost-effectiveness, durability, and ease of installation and maintenance compared to pre-cast pavers, natural stone, or asphalt. Installer say that it is much easier and more economical to install; pouring concrete and applying patterns to it seems easier to do than hauling and placing individual paving stones or bricks by hand. It is easy to clean. It also does not require much effort to maintain its lovely patterned look. Other surface material like pavers can sometimes become loose, or can settle, sometimes causing people to trip. Stamped concrete does not do this thus requiring minimal replacing or resetting over time. Aside from being practical and functional, this surface material adds a desirable decorative touch and transforms driveways or pathways into aesthetically appealing features in your home. You will not lack for options where choosing styles for your landscape is concerned. There is a wide variety of textures, patterns, and colors to consider. Concrete can be made to look like stone, marble, or weathered lumber, adding character to your residence. You can have it customized to fit the distinctive style of the rest of your home. You can easily tie together outdoor features like your backyard terrace, driveway, and other pathways so you get a beautiful well put-together architectural style, reflecting your discerning personal style and flair. In the Minneapolis area, a good stamped concrete contractor to call is Morris Concrete.